An employee counts Russian ruble banknotes at a small private shop in Krasnoyarsk. 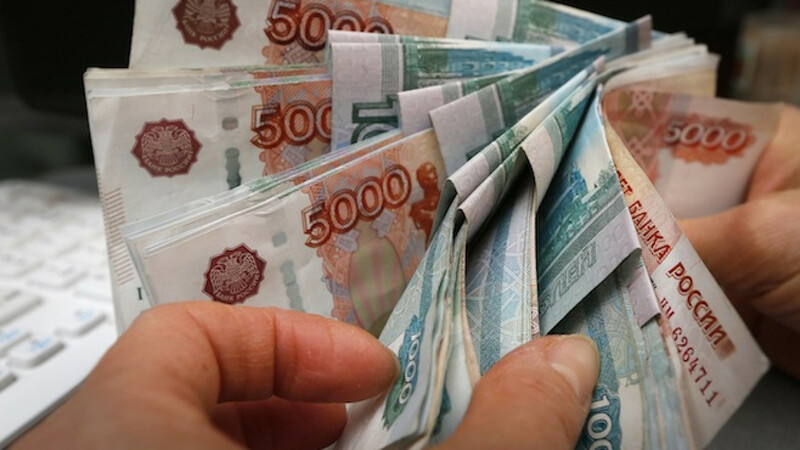 The prospect of deeper interest rate cuts took Russia's ruble more than 5 percent lower on Friday, knocking it off 4-1/2-month highs against the dollar, while Russian equity markets also fell. 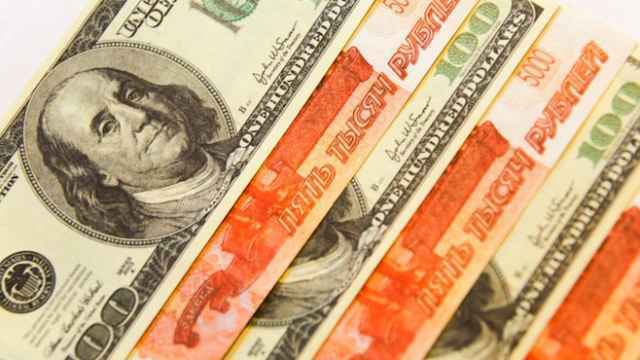 The ruble traded at 52.7 per dollar at 7:30 p.m. after Central Bank governor Elvira Nabiullina said late on Thursday the currency had found its equilibrium and its appreciation provided a basis for further rate cuts. After slumping to around 80 per dollar in late 2014, the ruble has rallied as the oil market shows signs of having bottomed out and fighting in eastern Ukraine between pro-Russian separatists and Ukrainian government forces has eased. "The ruble has appreciated so much recently that from the point of view of the Central Bank and government it makes sense to try and cap it so as not to erode too much the competitiveness gains they got from the depreciation," said Sebastien Barbe, head of emerging market strategy at Credit Agricole in Paris. 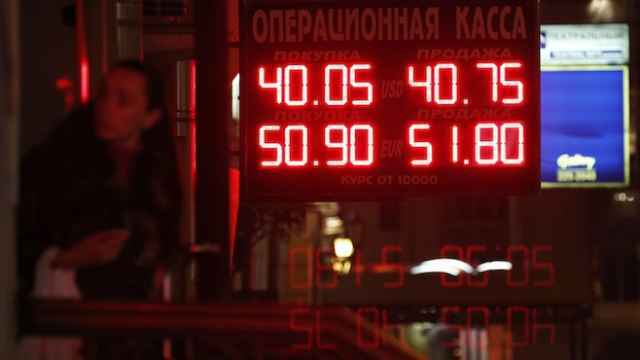 Russian dollar-denominated stocks fell 5.9 percent and the ruble index also slipped 1.8 as oil prices came down from 2015 highs, but they are up some 16 percent this month. The likelihood of rate cuts may boost local bonds though, with 10-year yields touching a new 4-1/2 month low around 10.3 percent. Broader emerging market stocks also paused in a rally that earlier took the MSCI emerging markets index to a new seven-month high.